I started covering Leeds United in 1990. The following season Howard Wilkinson became the last English manager to win the league championship in the final campaign of the old Division One. Over the next few years I reported on Leeds all over the country and eventually in many parts of Europe. When I joined Gosnay’s Sports Agency I became part of the team that produced most of Leeds United’s words, including the matchday programme. Adam Pearson, the United marketing director, who never gets enough credit for producing the income that others eventually squandered, masterminded the idea of Leeds United having a series of subsidiary companies that would complement their on-field activities. So Leeds United Travel became a great way to book your trips to games in Europe as well as holidays, and Leeds United Publishing would produce not just the programme but books and magazines. I suggested a series of 64-page paperbacks that would build into a Leeds United Legends library and Adam agreed. King John is number one and in fact turned out to be the only volume to see the light of day. That’s a regret but it was a terrific pleasure for me to write. John, a footballer who deserves to be mentioned in the same breath as the all-time greats like Pele, Bobby Moore, George Best and Lionel Messi, was a delight. His memory wasn’t great but his few set-piece anecdotes were all I needed because there was plenty of material to research. On top of which I included interviews with a number of people who had seen John play and knew him well. Because it was about John, no one declined to be interviewed. Some I already knew like journalists Ken Jones, John Helm and Barry Foster, but it was just as easy to get hold of former international superstars like Jimmy Armfield and Cliff Jones and broadcasting legends like Cliff Morgan (also a rugby superstar), Kenneth Wolstenholme and Michael Parkinson. who agreed to write the book’s foreward. 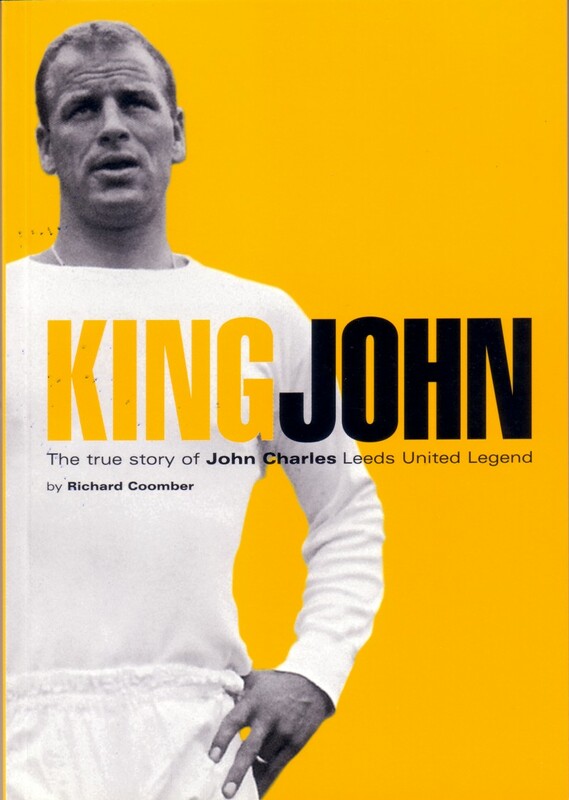 Leeds United organised a dinner in John’s honour shortly after publication. Such was the admiration in which John was held that some of the biggest names in football and the media came to honour him. To my delight the club gave every one there a copy of King John and my copy is plastered with signatures including from the great man himself.